Here's a real treasure that belonged to my mother. I don't remember her playing this one, but I love the cover (picture courtesy of the internet - my cover is very worn and scribbled over by my mother) and the fact that it's a promotion for Bacardi rum! According to the notes in the back, the album was supposed to come with "several" recipe booklets. Well, I still have one of them! I don't know what happened to the rest (I don't know how many "several" were), but they probably just got worn out and thrown away over the years. 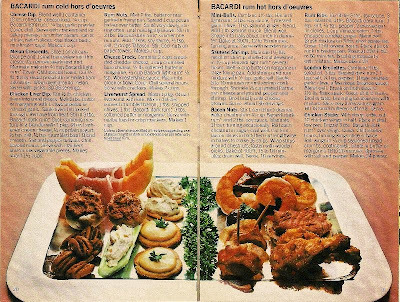 The one recipe booklet that survived is really cool - has recipes for drinks, desserts (my mom made rum balls every Christmas), and party foods. I haven't tried to make any of the recipes, but I think I might try to make the Bacardi party chili now that chillier weather is coming. Oh, and although the album itself doesn't show a date anywhere (at least, I couldn't find one), my mother wrote "1964" on the back (as she used to always date her albums), so that's the year I'm assuming this came out. 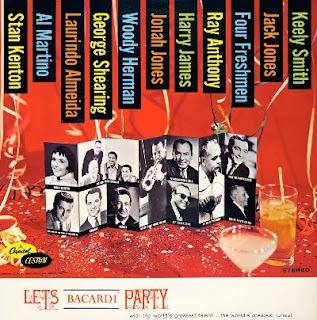 All in all, it's a fun album - good artists and good songs - and definitely one to play at your next Bacardi party. Hmmm.... I'm having a hard time picturing my mother going to a liquor store and buying a bottle of rum (she probably sent my dad). Love this one Esther, thanks! What a fun album. Thanks. This is so great to find, just as I was looking at the article released today saying that the Bacardi family of spirits was named official sponsor of the 25th Anniversary of the Rock and Roll Hall of Fame. 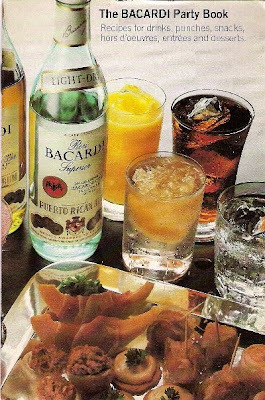 I had no idea that Bacardi's history mirrors the music industry the way it has. It would be great to see a timeline of their contributions to rock, you know? 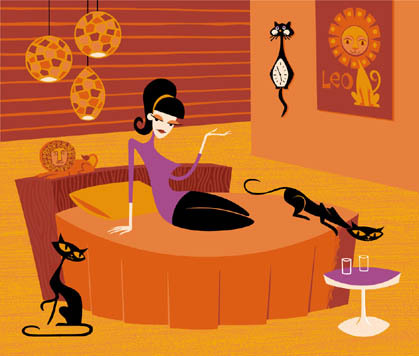 PS - The girl from ipanema is probably one of my favorite all time songs. 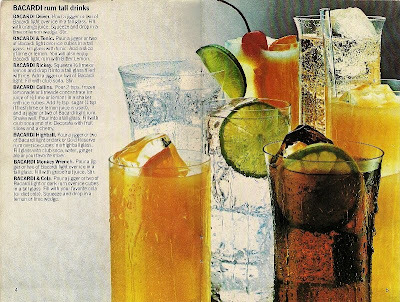 Hey, so why you holdin' out on us... scan some of those swingin' party recipe pages for attractive display on your web-blog!! Great album! Any chance you would be willing to add a scan of the recipe booklet (please)? I'll scan some pics in in a few days. I'm swamped right now but I'll do it for the wknd (Nov.14-15). And to think that all these years I've been making my Bacon Nuts with no Bacardi. Thanks for the scans!